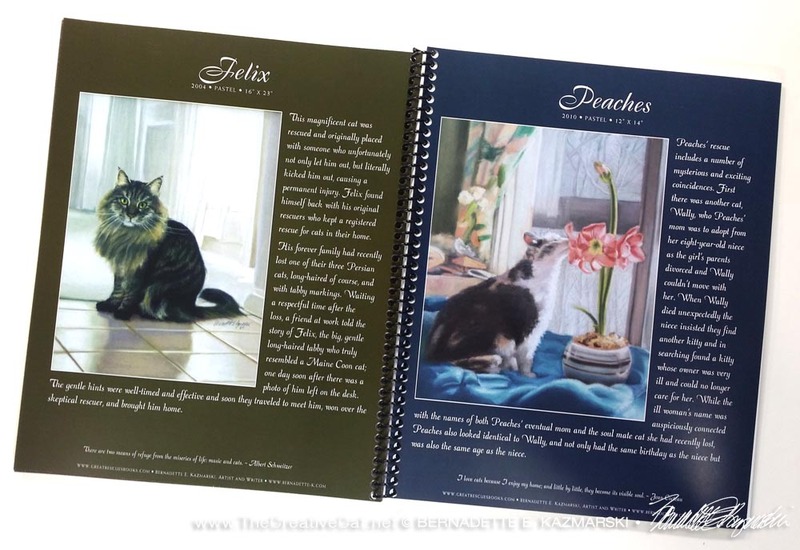 In 2011 I published Great Rescues Calendar and Gift Book, a 16-month desk calendar that included a commissioned portrait of a rescued cat or cats for each month, plus more about the portraits, cats and rescuers in the back and information on cat care. But calendars go out of date and I knew these stories had to go on. 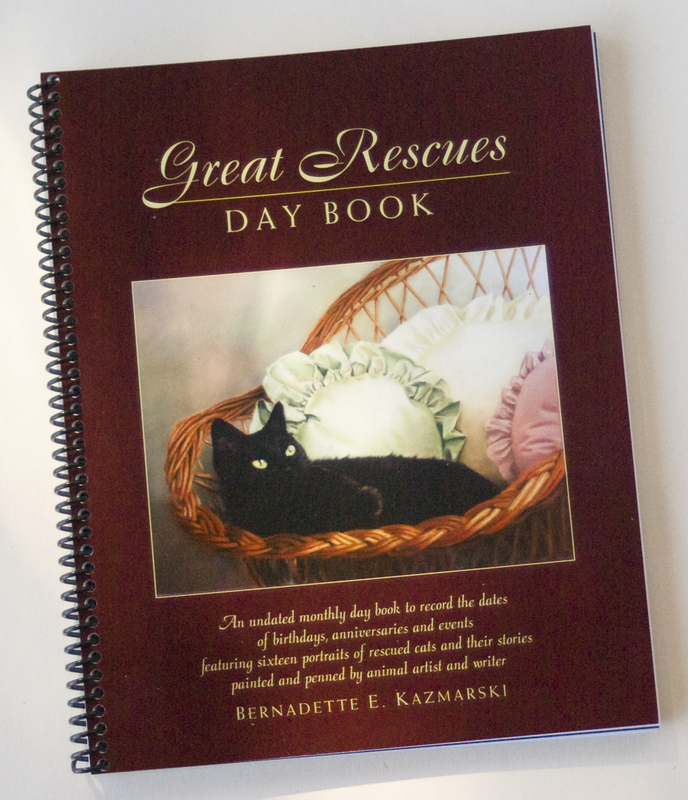 Great Rescues Day Book carries on the original idea in a way that’s much more permanent. This book is not dated for one year, but has all the dates in a month for you to fill in the birthdays, anniversaries, holidays and social and personal events in your life. 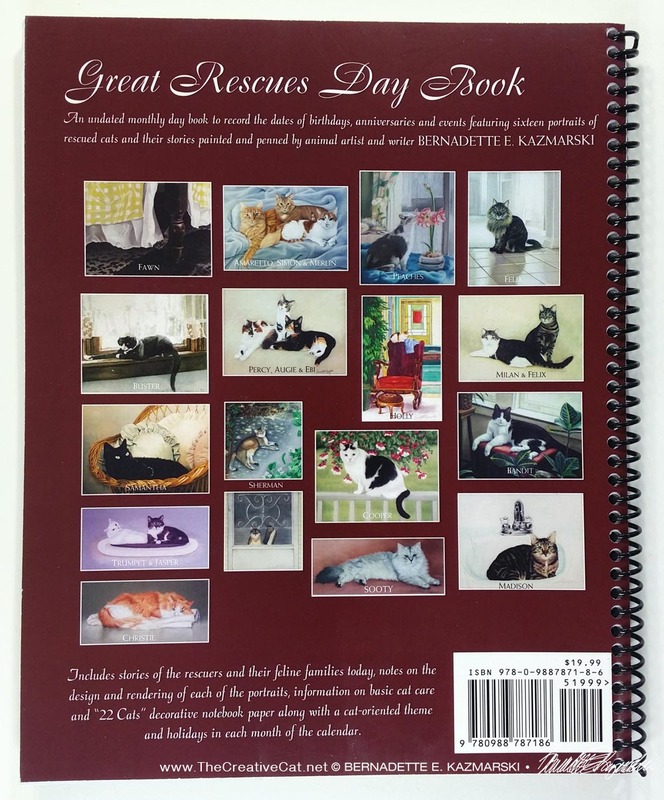 Great Rescues Day Book is spiral-bound and measures 8″ x 10″ to easily fit on your desk or in a purse, briefcase or backpack. While the original Great Rescues had a die-cut cover with the title stamped in gold foil, this has a solid 12 pt. printed cover for durability. 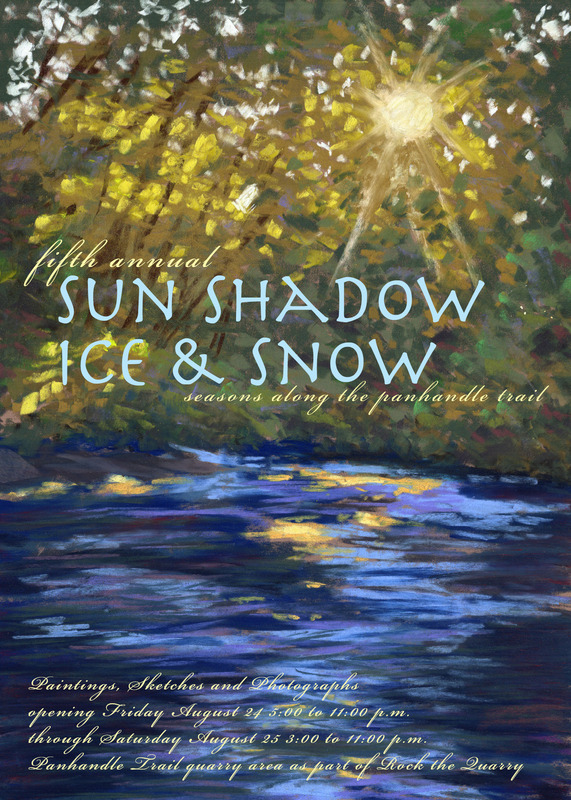 You can buy a book here, or read on. Price includes shipping. I’ve used a day book for over 20 years and have all the arrivals and, sadly, departures of each of my cats along with my friends’ weddings, my nieces’ births and the births of their children, the day I first registered a business name, all that sort of stuff, conveniently included in one place. On the left is the featured portrait with the kitty’s story, below that the monthly fun quote of something feline. On the right is the month name with enough lines for all possible dates in that month. The holidays that are celebrated on a certain date are marked on that date, but ones that float, especially those Monday holidays, are explained at the bottom just to remind you that they also happen in that month. If animal-themed holidays are celebrated on a certain date, like Spay Day USA, they will also be included, but just the same if they are ones that float like Pet Memorial Sunday they will be explained at the bottom. Great Rescues Day Book, sample two-page spread. Great Rescues Day Book sample portrait page. Great Rescues Day Book, sample calendar page. 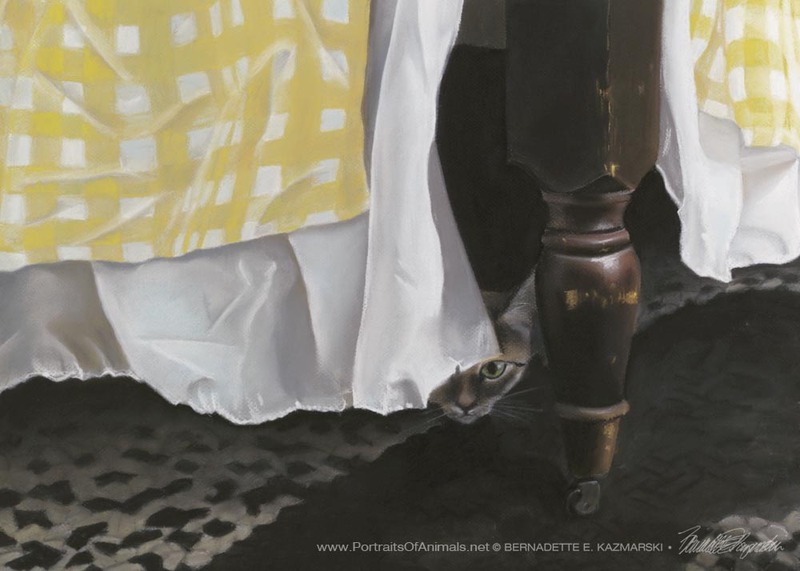 Although Great Rescues Day Book is a 12-month book I am still featuring from the original calendar all 15 portraits of rescued cats I was commissioned to paint over 20 years as an animal portrait artist (to that date), plus the portrait of my own which I consider my first, “Waiting for Mom”, below. That means you get a few pages in the center where you have only portraits and stories to enjoy. Great Rescues Day Book portrait spread. 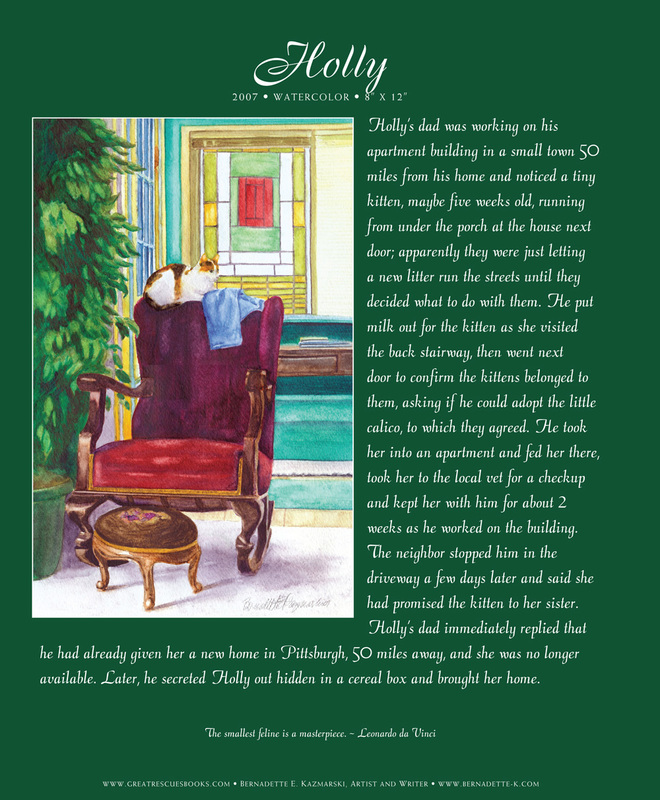 After the calendar pages I have a section where the stories are continued, either with more details or updates; I remained friends with all my portrait customers and received continuing news. I also have notes on how I created the portraits that weren’t included in the stories. 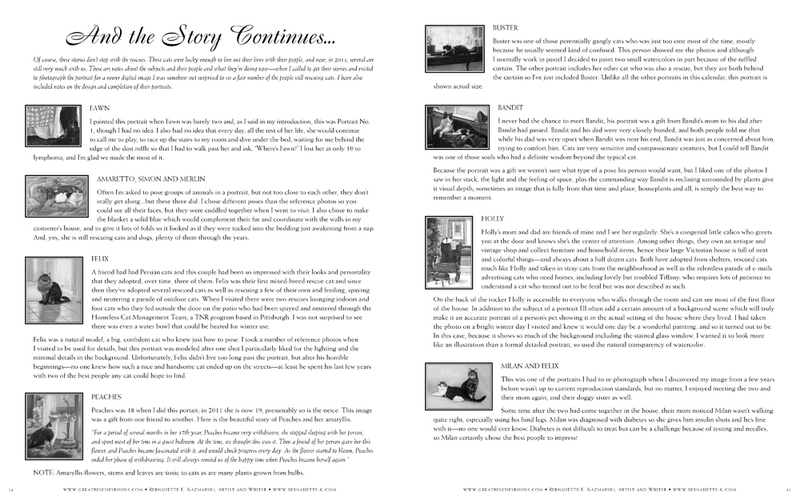 Great Rescues Day Book, portraits, cats and rescuer stories continued. 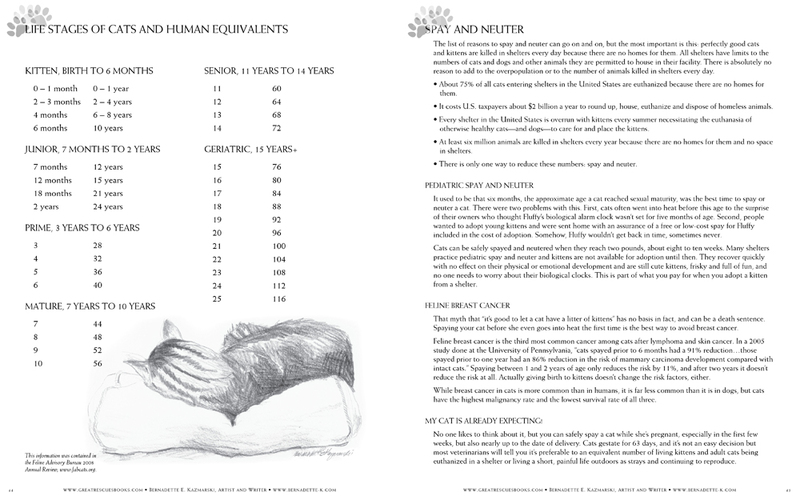 Following the calendar section and section of stories of the rescuers and their feline families I’ve included a mini cat-care book illustrated with my drawings. 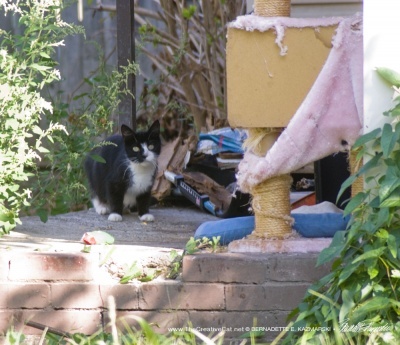 I based this information on the most frequent questions I field from people needing help with cats in any way, from finding strays or orphaned kittens, adopting for the first time or caring for a geriatric cat, a list of household toxins and toxic plants, or helping stray and feral cats and beginning with TNR. 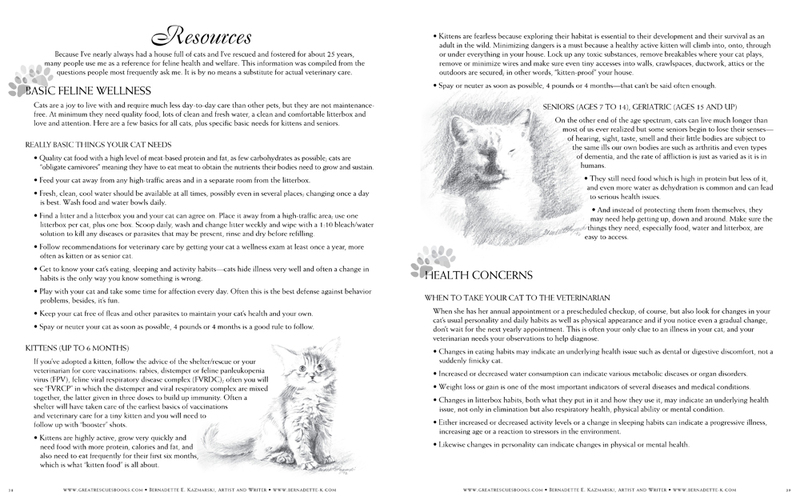 Great Rescues Day Book cat resources pages. 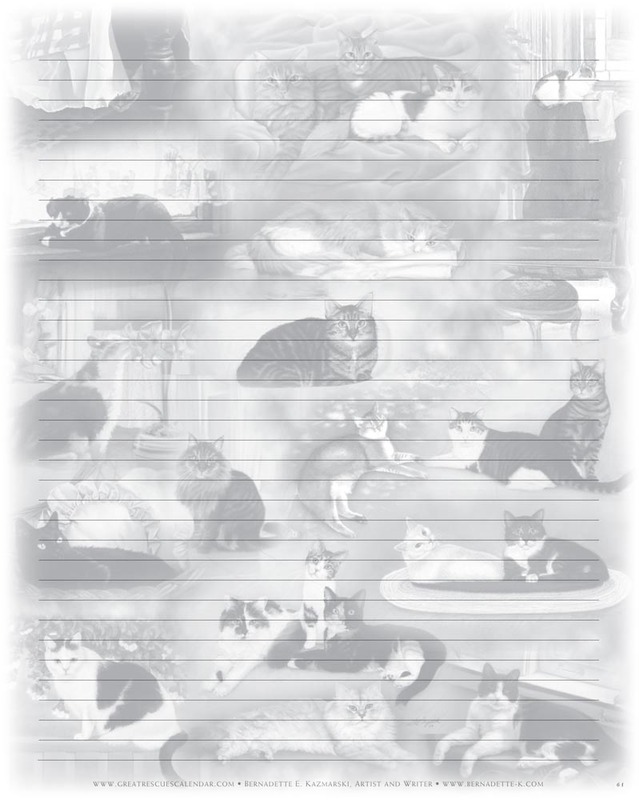 Each book includes 10 sheets of my “22 Cats” decorative notepaper with a collage of all the portraits in black and white so you can make your own notes or write special notes to friends. 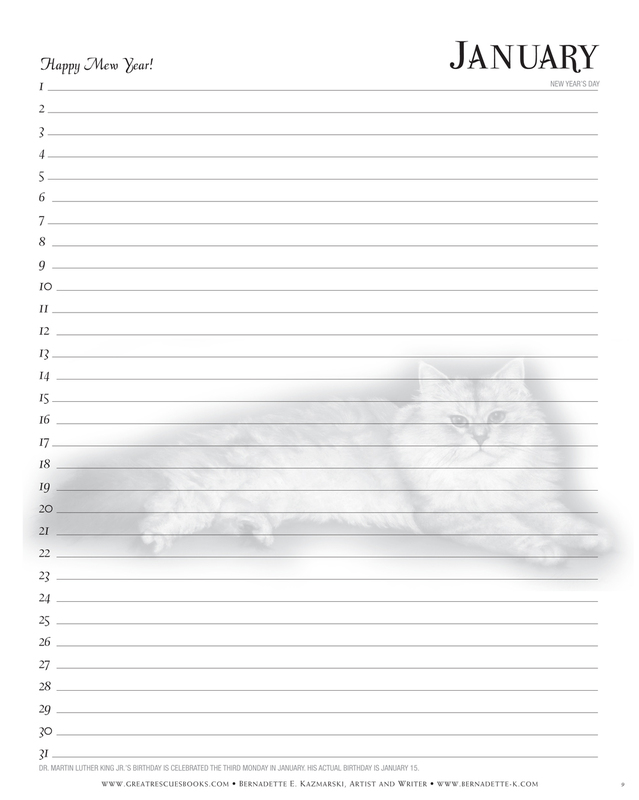 Great Rescues Day Book “22 Cats” notepaper. 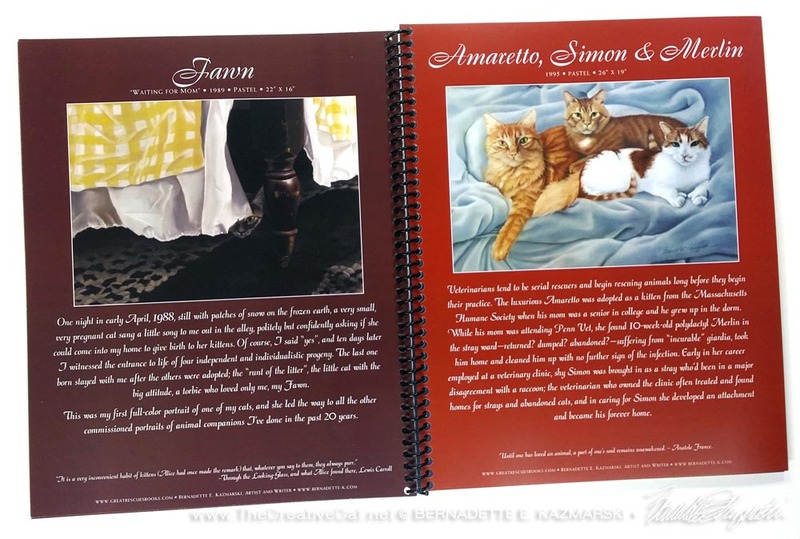 Each month on The Creative Cat I post the featured portrait, story and pages from Great Rescues Day Book and then describe the creation of the portrait in detail as well as even more history of the cats and the rescuers. You can browse here to read a few of the stories. Here are images of the other portraits in the book—perhaps you’ll recognize a kitty you know! Great Rescues Day Book portraits from the back of the book. Price includes shipping, and discounts for wholesale and quantity purchases. 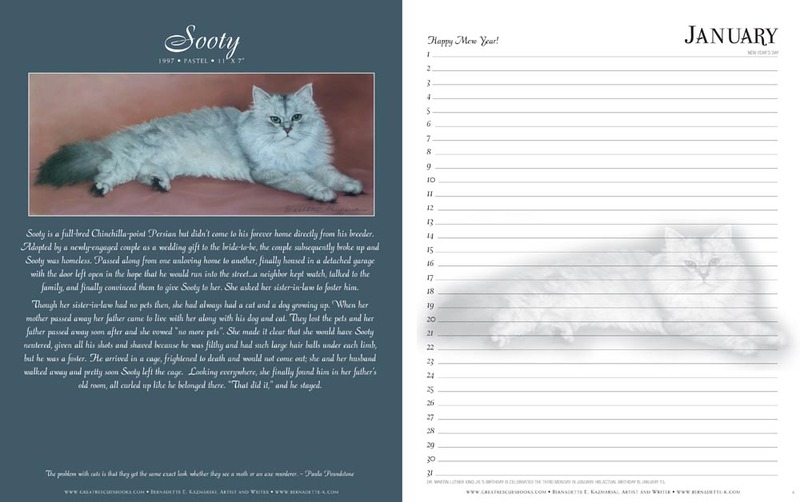 As a complement to the day book, I am also designing from the images in this book a number of complementary products such as placemats, pet bowl mats and memo pads. 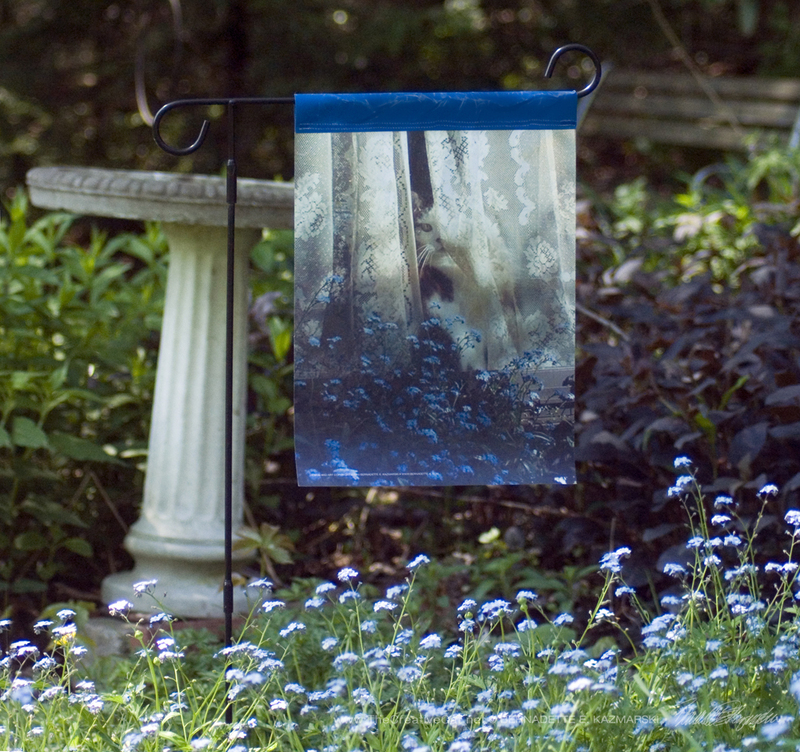 Keep watching for those here on Portraits of Animals! 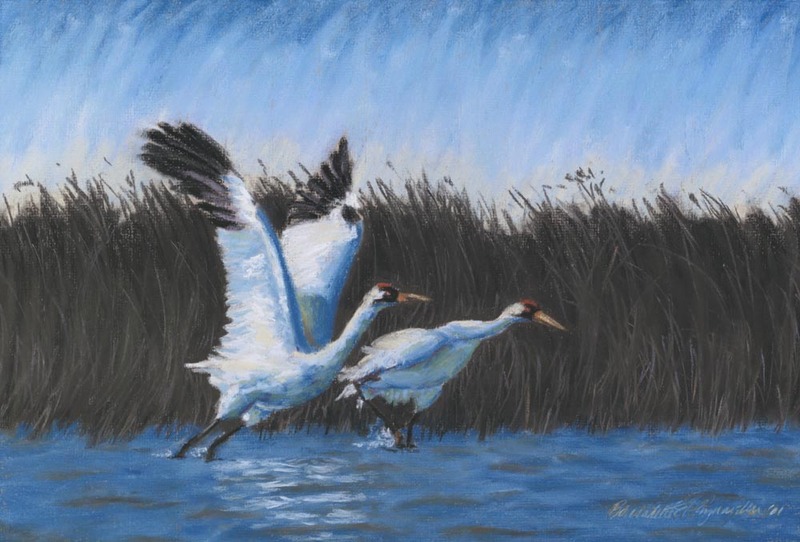 Sign up for my e-newsletter at the bottom of this page to be sure you don’t miss any special offers. 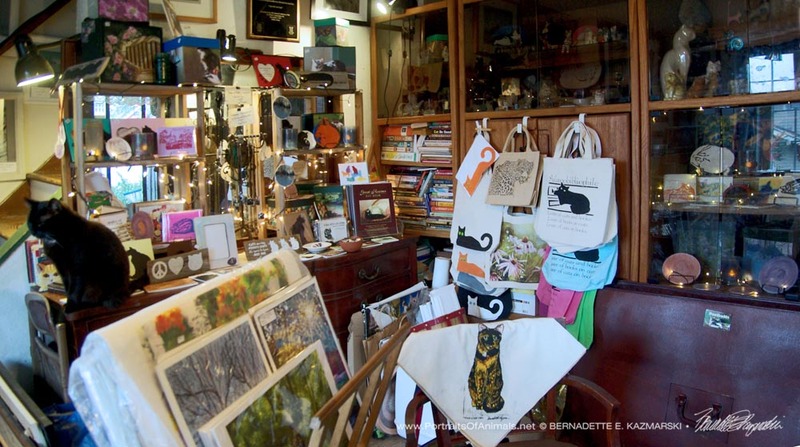 If the book is a gift to someone, or you have a particular cat or cats in mind, I would be glad to add an inscription in the front of your book. I had originally wanted to do this as a day book, but was uncertain enough at the reception I decided instead to go with a calendar. 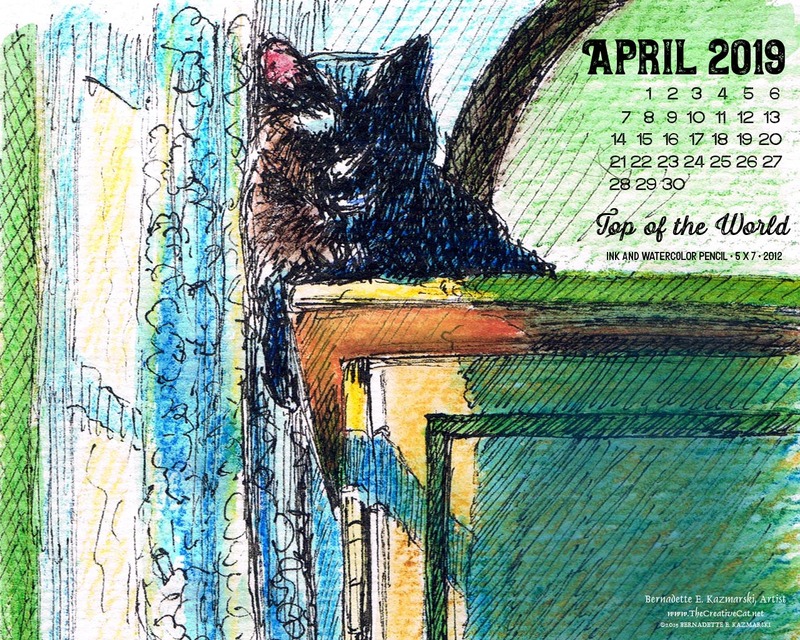 I was certain about one thing: I wanted to share those stories and the lovely kitties I’d painted, and a calendar works fine for me. 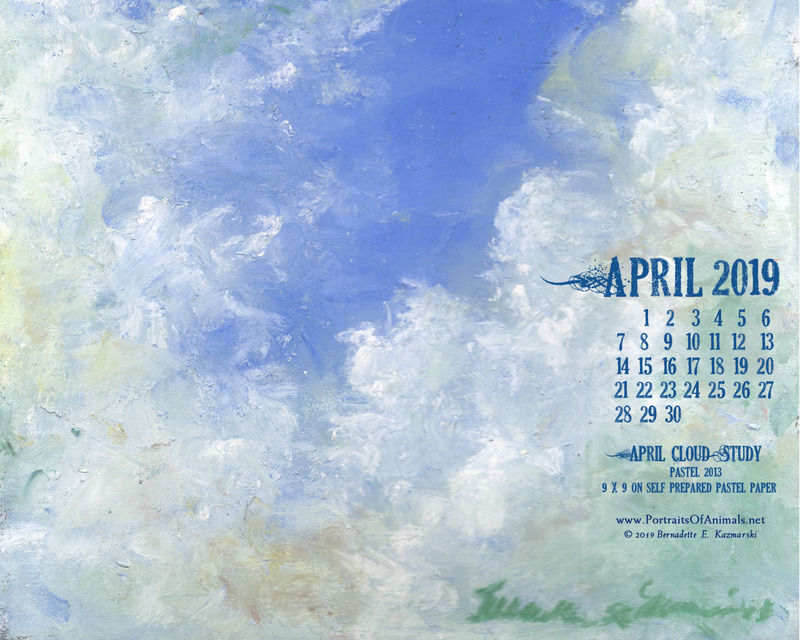 But compiling each one is such an effort because as I’d found with the original Great Rescues Calendar and Gift Book, I have to rephotograph nearly every painting, a tricky and time-consuming endeavor, one that would be difficult to pull off each year. This day book still shares the stories and art, but as I publish the variations including other cats and dogs and even animals and people I know the work I’m doing will be in use for much longer. 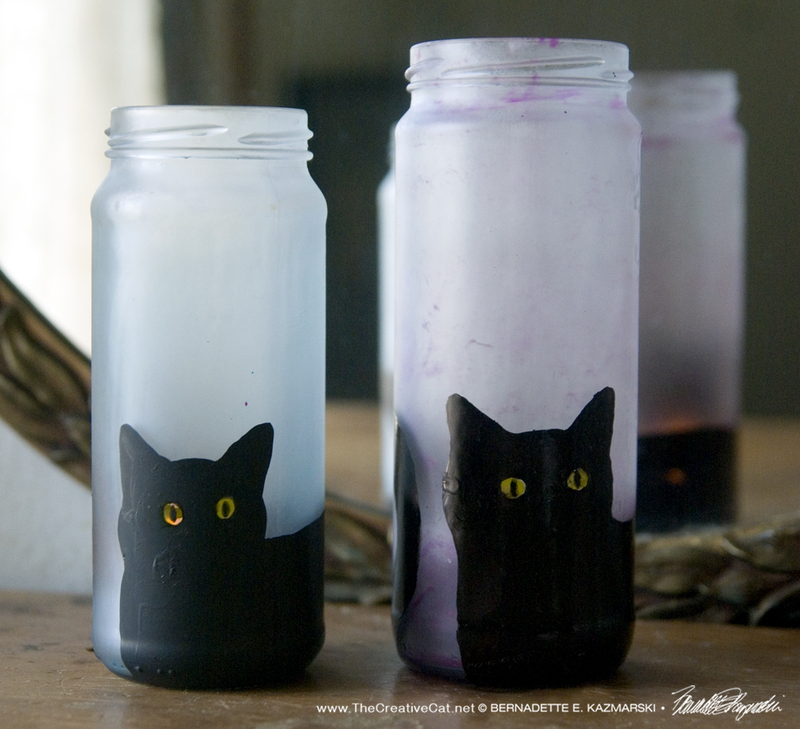 This entry was posted in book, cat artwork, cat calendars, cat merchandise, commissioned portrait, feline artwork, pet portrait, pet portraits and tagged animal artwork, black cats, cat art, cat artwork, cat portraits, cat rescue stories, pet portraits, rescue stories, rescued cats on November 3, 2016 by Bernadette.